UPDATED: Mon., Sept. 10, 2018, 9:47 p.m. This will be Mike Leach’s fourth meeting with EWU in 10 years. In 2008, Leach’s Texas Tech squad handled the Eagles 49-24 in Lubbock. In 2012, Leach’s first year at WSU, the Cougars edged EWU 24-20. Two years ago, EWU upset Leach and Washington State 45-42. 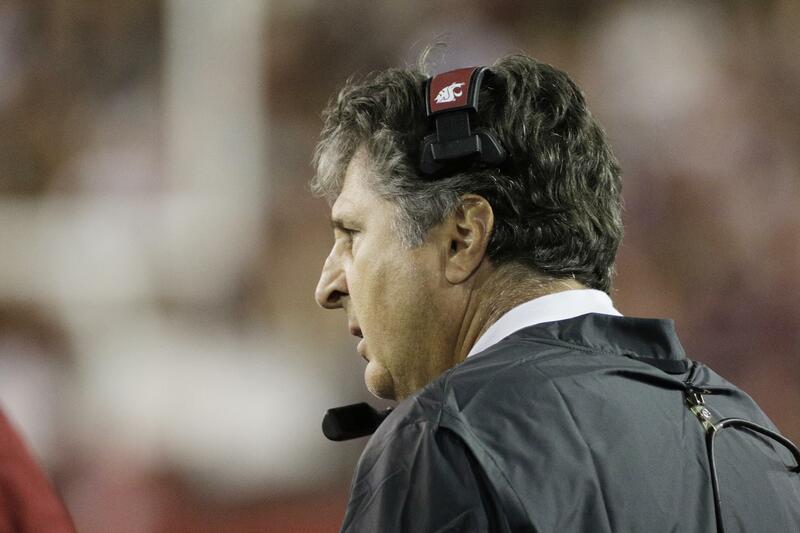 Washington State head coach Mike Leach fielded a heap of Eastern Washington-related questions from reporters Monday, five days before the Cougars’ nonconference tilt with the Eagles in Pullman. WSU (2-0) ranks second in yards allowed (175.5) among FBS teams and eighth in passing offense (369.5 ypg). They’re a confident team. They’ve had success for a long time. They have some talented players. They’ve always had talented players. They’re a good football team. They have a good coach and good tradition, and put a pretty good product out on the field. Will Gage Gubrud present WSU’s defense its biggest challenge yet this season? I don’t know. We’ll see. He’s a good player. He has a lot of experience, too. What’s it like facing a FCS team when you’re expected to win, but it’s a big deal if you lose? It’s an opportunity to get better. Eastern provides the adversity for us (to get better), but we need to focus on ourselves. Eastern is a good team we have a lot respect for, but we can only control ourselves. I don’t think about it very much because I have a lot of next-game sense. I pretty much focused on this one. I don’t even think about the San Jose State game last week. You have to move forward if you’re really going to be any good, so if I thought of every past game that’s all I would be doing. So no, I don’t think about (the loss to EWU) very much. Did you draw anything from that loss to EWU? Like what? If you have something clever, I’ll listen to you. But no, not really. Is EWU any different now under a new head coach (Aaron Best) and offensive coordinator (Bodie Reeder)? I thought he was pretty good then, and he’s very similar, maybe a less reckless player. He’s a pretty good player and a statue-esque guy who can throw it down the field. He moves better than a lot QBs. I don’t have him as a runner, but he moves better than some. Have you ever checked out the red turf at Roos Field? I’ve seen it on film and I’ve been by the field one time. I’ve never heard the story on why they do that. From a practice standout, I am glad I don’t have to watch practice on red turf everyday. Why do they have the red turf, does anyone know? Published: Sept. 10, 2018, 7:42 p.m. Updated: Sept. 10, 2018, 9:47 p.m.